Kevin’s extensive knowledge of North Atlanta and easy going nature will make your move a smooth and pleasant experience. His hard working style, along with a team of highly trained real estate specialists, will help ensure you find the right neighborhood for your family. Kevin and his team specialize in relocation and in buying & selling properties in many of the renowned gated, golf and swim/tennis communities all over the following counties of North Atlanta: North Fulton, Cobb, Forsyth, Gwinnett, Dekalb and Cherokee. If you want to build a new home, you won't regret speaking with Kevin. 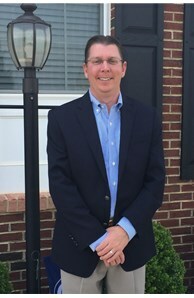 He has more than 20 years of experience working with Builders and Developers in Metro Atlanta and has helped many buyers who wanted to build their dream home. He has successfully found his clients beautiful pieces of land and matched them up with one of the renowned Builders in the area. Call Kevin today! Are you new to the area? Want to build your Dream home with a Custom Builder? Want to work with an Agent who sells all over Metro Atlanta not just in one small area? Want an experienced & friendly Agent? Want to get top dollar for your home? Want to buy or sell Land? If your answer to any of these questions is YES, call Kevin today at 770-597-2880! What Do Kevin's Clients Say? #1 Coldwell Banker Large-Team Agent in 2015 & 2017 - for the entire state of GEORGIA!